Of course users can find your library on Google. But with a few simple steps, you can enhance your library’s presence on Google services such as Search, Google Maps, and Google+ by adding library information, photos, and hours. 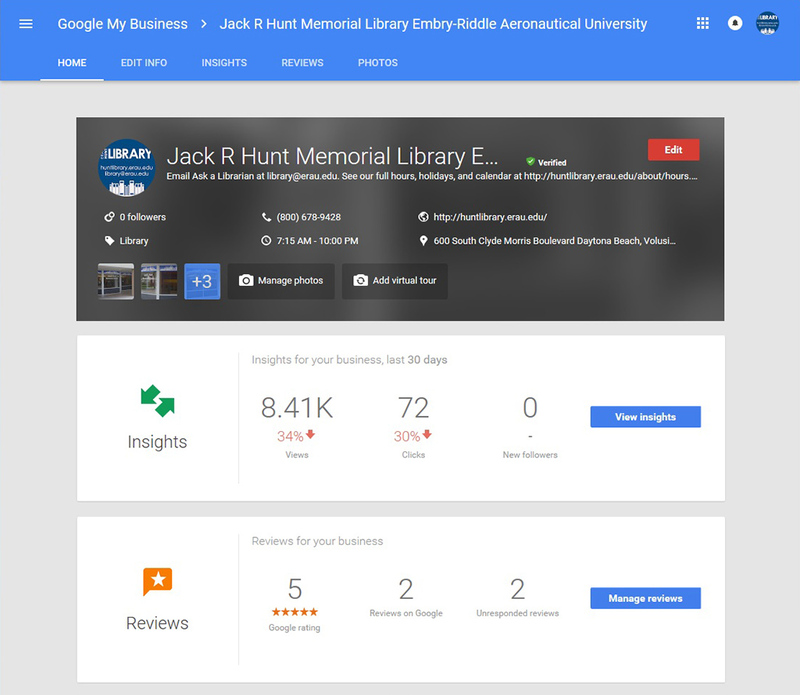 You do this by creating a profile for your library in Google My Business. When searching Google you have probably seen the the information-rich box to the right of the search results list. Google calls this the Knowledge Graph display and it has been in use since 2012. It uses semantic search to enhance search results when a person, topic, or place is identified. 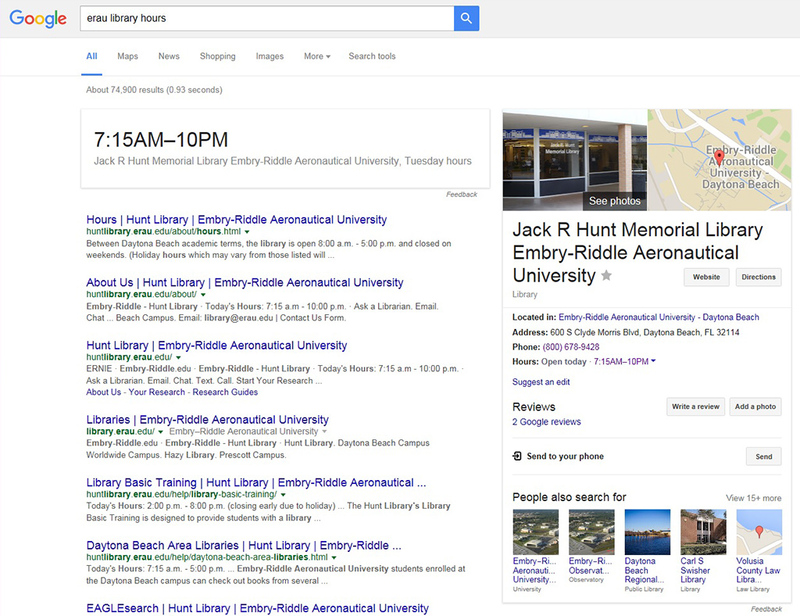 The Knowledge Graph information can also be used to add instant information to the top of the search results list, such as today’s library hours. If the link “Own this business?” shows in the Knowledge Graph display for your library, no one has claimed ownership for your library’s profile. 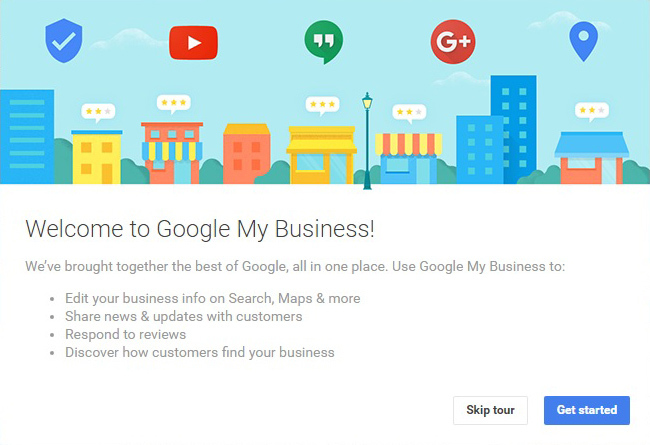 Clicking this link allows you to set up your Google My Business account. Note: This process also creates a Google+ page. On the next screen you will be given the choice to verify your business by phone or by mail. If you choose mail, you will receive a letter at the mailing address in the Knowledge Graph display that will contain your verification code (and a Google sticker). This usually arrives in about five days. You don’t need to wait for verification to edit your profile. 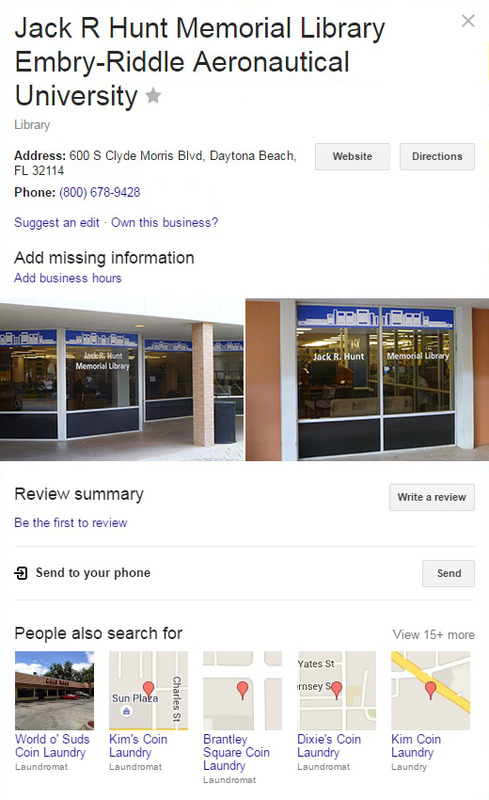 Once you have chosen your verification method, Google will create your basic Google My Business page. From this Home page you can edit your library information (name, address, phone, website URL) and add library hours and photos. 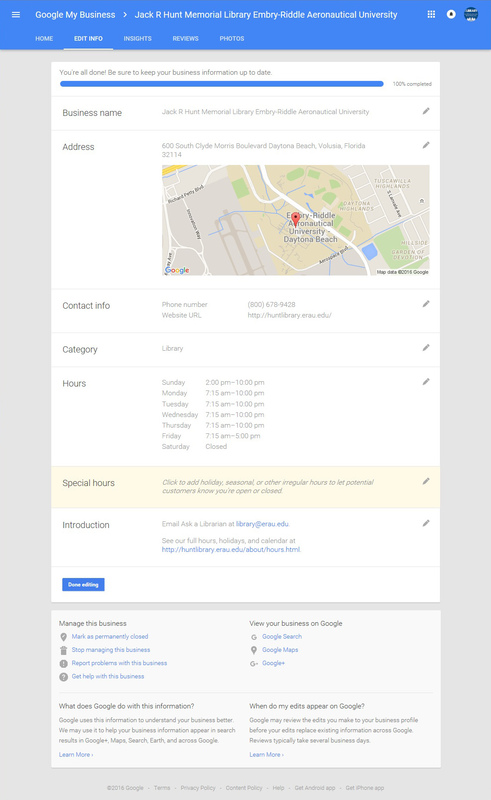 Once your Google My Business profile has been completed and your account verified, your enhanced Knowledge Graph display will appear in Google search results and other services. Google offers an app to allow you to update information and hours from your mobile device.